Back in November, AMD’s Senior Vice President of Engineering, David Wang, said it would “definitely respond to [Microsoft's] DirectX Ray Tracing (DXR)." During a roundtable interview at CES, transcribed by PC World, Su confirmed AMD wasn’t going to be left behind when it came to implementing the tech. “I think ray tracing is important technology; it’s something that we’re working on as well, from both a hardware/software standpoint,” she said. 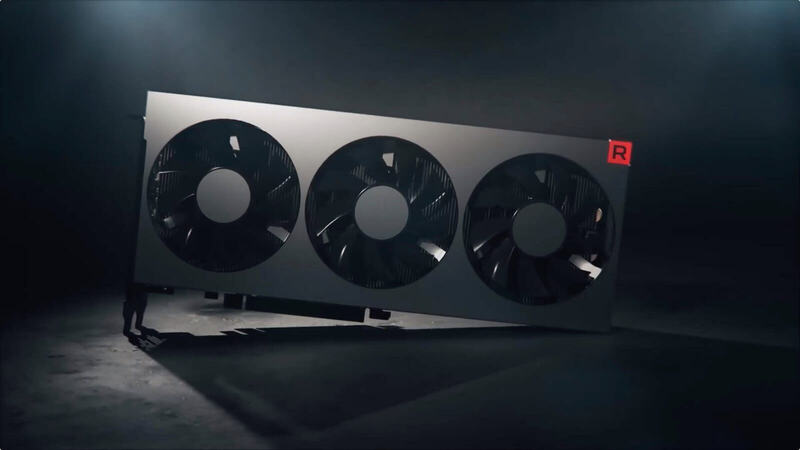 When Nvidia announced its Turing-based RTX 20xx cards last year, there was a lot of focus on their real-time ray tracing capabilities, but there remains a dearth of games that take advantage of the tech, and it does bring a performance hit—though new drivers have improved this. Huang had called Radeon VII “underwhelming” and “lousy” at CES, adding “[There’s] no ray tracing, no AI,” to which Su responded with: “I would probably suggest that he hasn’t seen it yet.” But it seems AMD is working on cards that support real-time ray tracing, though we probably won’t see them until a lot more games make use of the technology. And AMD's say was not only classier but far more sensible. Kudos to them. Charles Olson, pencea, Burty117 and 6 others like this. Funny thing is that they are both right. I think that Nvidia wants/needs AMD to support Ray Tracing. But AMD's presentation focused better on delivering to their core market. Personally I would like to see better strides in game AI and physics. What if... as geometry is defined in a world it would know how to behave visually and physically in that world. So as a concrete block is placed into the scene it would know how to act and react to everything around it. Just by knowing what "material" it is made of. RT is tech down the road for sure. NV got there first and well it is not perfect and will take developers to bring the tech into real usage. AMD was smart to just hang back until the game developers workout all the kinks out as they are large ones. I have always said "how fast is fast" and watching the painful RT of today is just fine by me. When AMD jumps in with a solution I'm thinking it will be ready for all, until then tic tic goes the clock. I don't know why but I wish AMD luck with their graphics projects. wiyosaya and Charles Olson like this. Competition is good! AMD is heeling sIntel ATM, perhaps it will be nVidia in the not-so-distant future. Maybe AMD underestimated RT. There response was classy, but it doesn't actually give me a sense they have much of anything at this point and I'd be willing to bet we won't see the tech from the red team until at least 2020. By which time there might be a few games that can use RT without decimating your FPS. The lack of RT is not going to sink AMD. They should concentrate more on getting a high speed card out with good cooling and energy efficiency at an affordable price and then tack on RT later if it's more than just a fad. AMD clobbered Intel with Ryzen (a product that appealed to the masses but not the purists); it's time to do the same to Nvidia. 2020 is a year away so that wouldn't even be an issue. You could likely see nothing from AMD until 2022 and they'd still be fine. We've got a single RT game that applies a single RT effect. We are so far from RT being mainstream right now that a $1,200 video card doesn't even scratch the surface. Except that RT isn't actually new tech as such. I reckon AMD has something up their sleeve and they already have a GPU that can Ray-trace decently, we'll see it in the next gen consoles and at the same time, AMD will release the full fat versions for PC's. There are like three games that actually support Ray Tracing at the moment, and all of them are run-of-the-mill 'AAA' snooze-fests. I think it's no bad thing if AMD take their time while more games that accommodate the tech are developed. Plus, taking their time will hopefully allow AMD to get the implementation right, and not just add in a RT option that nukes in-game performance like the current nVidia solution. Capaill, wiyosaya and Charles Olson like this.